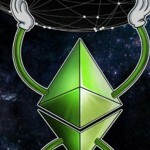 A team of cryptocurrency developers Ethereum Classic (ETC) ETCDEV announced about operation stopping due to lack of funding. For the past few weeks, the company has unsuccessfully tried to attract the attention of investors and receive the necessary funds. "We were unable to raise the necessary amount of money. This is partly due to the collapse of the cryptocurrency market. 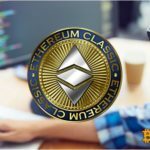 We turned to the investors and the Ethereum Classic crypto community to receive short-term financing, but our efforts were not successful." IOHK. The main product is a program for managing financial assets Mantis. ETC Labs. Supports blockchain startups that operate on the ETC network. ETC Cooperative. 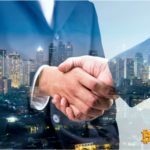 He is engaged in financing projects in the ETC blockchain aimed at developing infrastructure, marketing and the community. Ethereum Commowealth. Enables the operation of the cryptocurrency wallet ClassicEtherWallet. Over the past day, Ethereum Classic rate has decreased by 6.34%. On Monday, 1 ETC cost $ 5.08, today the cryptocurrency fell to $ 4.71. 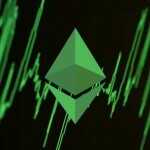 In terms of market capitalization, Ethereum Classic ranks 17th, however, the daily trading volume is a very impressive figure - $ 217 million. For comparison: the trading volume of Stellar (4th place by capitalization) $ 81 million, Bitcoin cash (5th place by capitalization) $ 75 million. © 2018 bit.news | queries 226, for 0.447 sec.